This morning i made my breakfast. The past weeks i make a double egg omelet with bacon, cottage cheese and spinach. I read a bit after that, the Philosophy of the I Ching. Then i went sitting behind my computer. Going through my mail – mostly spam. Looking at facebook to see if there is anything going on. Going through twitter as well. Then a bit of World of Warcraft. For an hour or so. I made an oatmeal porridge for lunch. Some raisins, a bit of cinnamon, some palm sugar and a knob of butter. Yum. The market next. I’m gonna make myself some onion soup this week. So i bought a kilo of onions, three knobs of garlic and some Elstar apples. The Albert Heijn next, buying some broth cubes, beef, vegetable and chicken. Eggs. An avocado. I was thinking about some things i want to do. Some e-mails i want to write. Several. 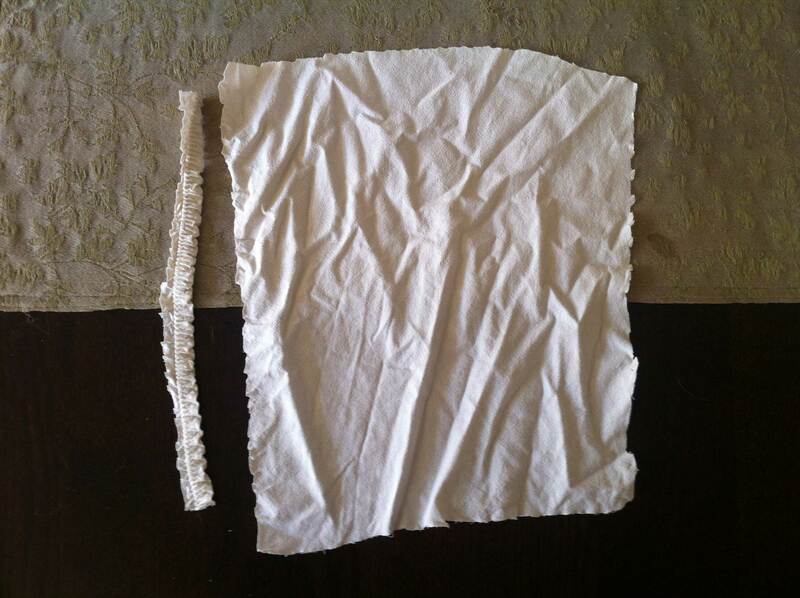 And i want to make a handkerchief, all by hand. So when i got home i put everything i bought out of the bag in its proper place. 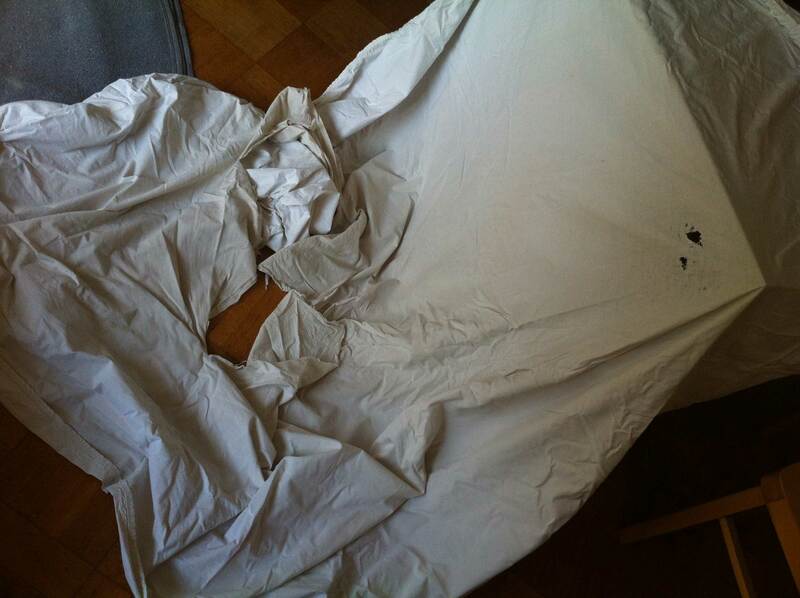 Then i got the old torn bed linen out of the cupboard and cut out a square piece. 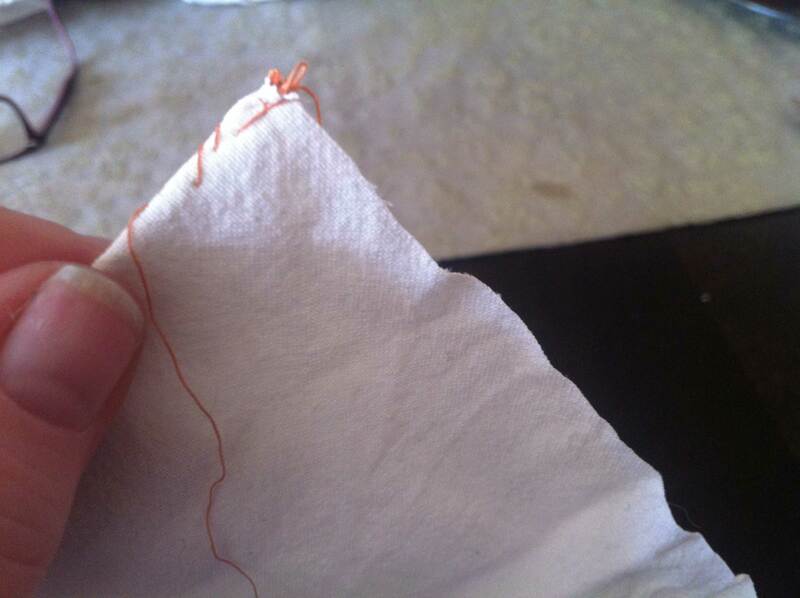 I picked an orange thread and started to make a rolled edge. This is quite a lot of work, i only did around five centimeters. I will go on tomorrow. 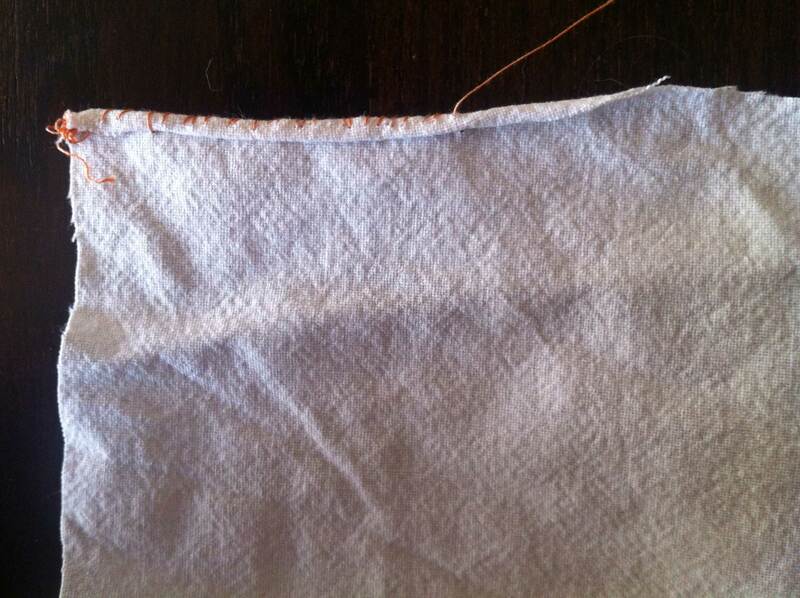 I was wondering if the fabric of the old bed linen is fine enough for a handkerchief. I could make little pockets with it too, to put in seeds or nuts or anything else. Not sure. After i stopped i wrote one e-mail. Inviting a friend to the garden. The first time i’m doing that. I do hope she will come. A short phone call with my client about the current assignment. Still doing preliminary work on it, in a week or two i will get the final texts to work with. But in the next two weeks i can work on the cover, the preface, look at the house style elements and colors carefully and decide what elements i want to incorporate. I did have a cup of tea around four o’clock. I first made myself a rye open sandwich with appelstroop. Then another two open sandwiches with peanut butter. I was hungry! That means only a cup of pea soup for diner. Not sure what i will do this evening. Read a bit more. Watch a bit of tv. Just be quiet. Like, yesterday, i danced! Woah! Thoughts rushed in my head. I might watch a movie. Still plenty of time to decide.